Every two years, mint directors from across the globe meet. Among them, prizes are awarded to the best advances in coin development. The German polymer coin was recognised by this group of specialists as the world’s most technologically innovative circulation coin. 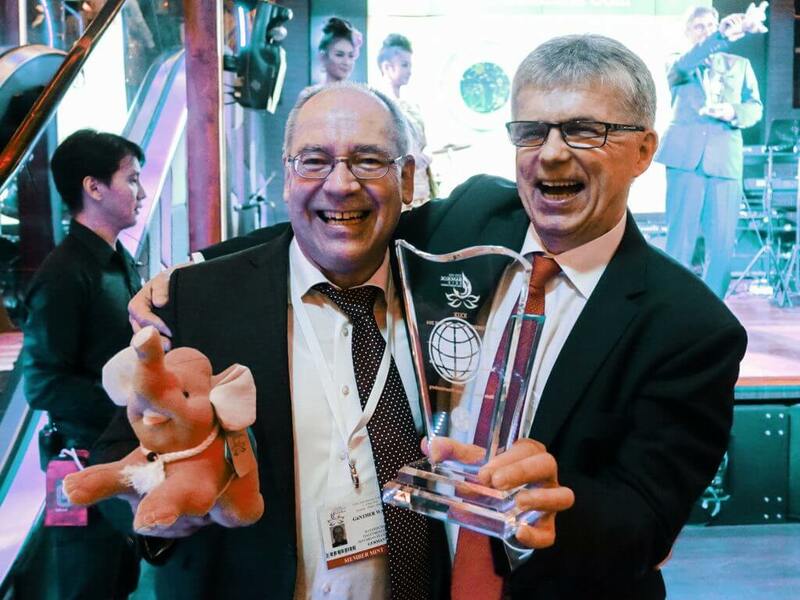 Stuttgart, 12 May 2016 – On 4 May 2016, the German polymer coin was recognised as the world’s most technologically innovative circulation coin at the 29th Mint Directors Conference (MDC) in Bangkok. This prize is awarded every two years. The jury is made up of the most senior representatives of the mints, who are members of the Mint Directors Conference. Only the world’s leading experts in the field decide who receives the MDC award. For this reason, the MDC award is considered to be the highest award a coin can receive. The German polymer coin “Planet Earth”, which has a face value of 5 euros and was officially released on 14 April 2016, is already sold out and is only available via coin trade. The coin is the result of many years of research. This involved the State Mint of Baden-Wuerttemberg and the Bavarian State Mint (Bayerisches Hauptmünzamt) collaborating with industry to develop a new kind of material that makes coins as secure as banknotes concerning their security features. What makes the material stand out is that it is highly suitable for minting, yet still retains the transparent clarity and appealing aesthetics of the thermoplastic polymer. Its special properties include its conductivity, chemical resistance and resistance to temperature, UV radiation and water. With the addition of optional nano pigments, the material can assume properties which can be integrated into the coin as an overt or covert security feature. The State Mint of Baden-Wuerttemberg and the Bavarian State Mint were heavily involved in the development of the material. They were supported by the Leibniz Institute and Rhineland-Westphalian Technical College (RWTH) in Aachen as well as representatives from the Bundesbank (German Central Bank). The vending industry also played an important role in the development of the material as representatives from Crane Payment Innovations, Buxtehude and the planchet producer Saxonia EuroCoin joined the team.